The Hub Centers for Meeting and Collaboration: Hot summer deals--how hot are they? Hot summer deals--how hot are they? Ah, summer in the city. It's one of our favorite seasons for many reasons--Center City Sips, al fresco movies, and great summer sales. But we also love it for another more quotidian reason--we use it as a big excuse to reward our clients for being just that--great clients. Sure, we think Christmas is great for gift-giving, and spring is the season of renaissance and flowers, but what better time to remind our clients how happy we are to have them than the season of long days, outdoor barbeques, and general good feelings? We like incentives in our office, so to celebrate the dog days of August, we're giving an iPad to event professionals who book $6000 or more with any of our three locations. Yes, really. 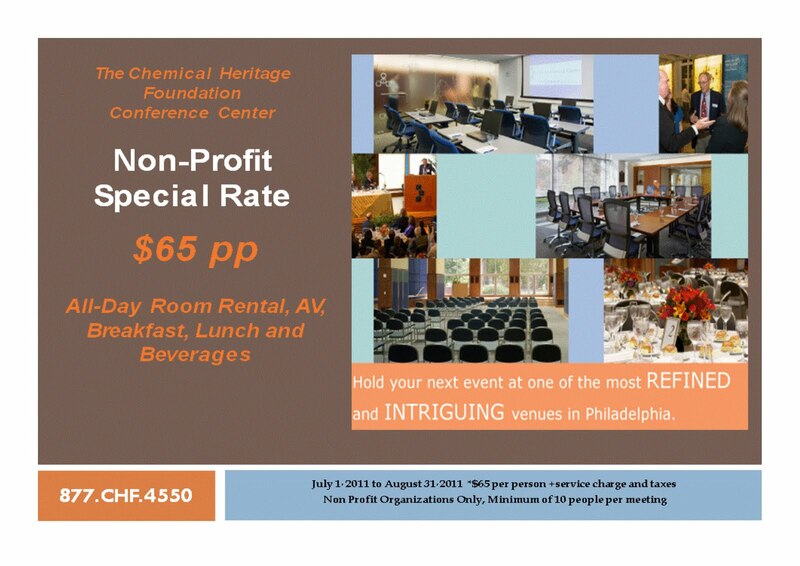 And, in keeping with our commitment to corporate social responsibility, we're also offering not-for-profits a chance to discover one of our favorite Philadelphia institutions, the Chemical Heritage Foundation. For $65 per person, in the months of July and August, NFPs can get to know our facility there, and our services. How do you reward your clients? Yoga is for Corporate Types Too!